The days of the department store are numbered as eCommerce is re-defining the face of retail down under. Research shows that Australia is a world-leader in the realm of online shopping, with 69% of consumers preferring to shop online. Last year, $32 billion dollars changed hands over the internet. It makes sense to stay on top of new payment methods for your online business if you want it to survive in the ever-evolving world of eCommerce. 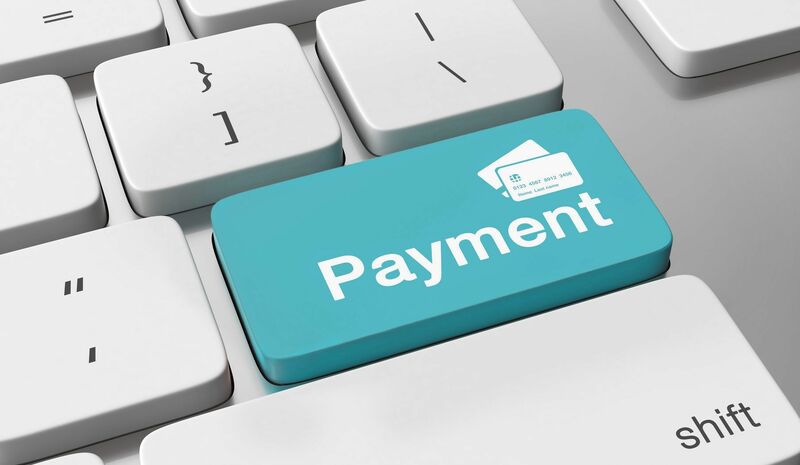 There is no longer a question of whether you will have an online payment method in place, but rather which one to use. Gone are the days when PayPal was the only option for online payments. Likewise, tablets and mobile phones are likely to be replaced as a means to pay the bills by wearable technology such as watches. Pin codes and even fingerprint identification are in their death throes. As technology advances, improved tokenisation and biometric authorization methods are expected to replace them. These include pulse and voice recognition, finger vein scanners and keystroke detection. The world of eCommerce is improving and diversifying quickly. Will your business be able to keep up? One of these new online payment methods could be a better match for your growing business. By means of Amazon Pay, consumers can use their Amazon account to pay for goods and services on participating third-party sites. Users receive payments by means of the retail giant’s API (Application Program Interface) and payments are made via their ACH (Automated Clearing House). This means that sensitive financial information is kept in one place and does not have to be supplied again when purchasing online. All consumers have to do when purchasing via Amazon Pay is accept the Customer Agreement. Apart from speed and convenience, this is a major boon for consumers with security concerns. As Amazon users, they already trust Amazon’s ACH to take care of their confidential data. You don’t need to sell your goods via Amazon to make use of Amazon Pay. Any retailer can join, including brick and mortar shops. During 2016, 33 million shoppers took advantage of this convenience. This makes Amazon Pay one of the world’s most popular new payment methods. Never a company to be left in the starting gates, Apple’s payment portal allows you to use your Apple device like an ordinary wallet, only faster. You simply set up your credit and debit card information on your phone and pay at any shop like you would with your debit card, at the touch of a button. You can make online payments in selected apps and on participating websites. All it takes is a tap on the device’s Touch ID. While consumers have been a little slow on the uptake, analytics company TXN reports that there was a 50% surge in 2016 and it’s not slowing down. Google is also on the bandwagon, with a new payment method that allows you to receive money from anyone. Like PayPal, you only need an email address to get your payments. However, Google wallet automatically transfers these funds to your bank account. The process is also free, unlike PayPal. Payments to third parties are made via their website, or you can download an app onto your smartphone. Unfortunately, this facility is not available for registered businesses, but sole proprietors can use the service. According to Statistic Brain, 31% of mobile users worldwide have used Google Pay at least once. Although consumers regarded Bitcoin with suspicion at first, this technology is becoming widely accepted. Bitcoin is based on the BlockChain method of transaction. This involves combining a series of transactions into a data block, encrypting it and then storing it. This is one of the cheapest, fastest and most secure ways to transact. Bitcoin is a cryptocurrency, which means it is decentralized and deregulated. The value of Bitcoins inflates independently of the Reserve Bank and other outside influences. There are only about 21 million Bitcoins in circulation. The number of users is unknown. Most sellers don’t currently accept Bitcoin, but that is sure to change as the currency becomes more widespread. These two new payment methods allow users to pay off their purchases in installments, at low-interest rates. It is free for users to join and they receive the goods once they have paid in full – similar to the traditional lay-bye system. These new payment methods are free for users to join. AfterPay has 1400 members and ZipPay has 2000. These retailers report that up to 60% of their sales are made using these two facilities. Payoneer has a strong focus on international transactions and is popular in China’s eCommerce industry. Users can make multiple payments in several currencies via virtual bank accounts and the process is almost instant. Retailers can also manage invoicing and billing by means of Payoneer. According to TameBay, Google and Amazon are among the millions of companies using Payoneer for secure online payments. This payment platform allows payments to be made straight from the customer’s bank account. They can also transfer funds via email, LinkedIn, Facebook and Twitter. Businesses can take advantage of a flat monthly rate to transact via Dwolla. This start-up is currently available in the US only. Dwolla is growing fast and it’s only a matter of time before it makes it way to Australian shores. With Split It, consumers can divide their payments up across several cards in order to decrease their interest payments. They can also set up low instalment withdrawals from a single card if preferred. Split it has been on the go since 2012 and is already available in 79 countries worldwide. Is it easily accessible to your target market? There’s more to providing your customers with the ultimate eCommerce experience than an efficient payment method though. It all starts with user-friendly design and functionality. We are available to assist with advice on all these and related topics. Get in touch to discuss suitable payment gateways, development, and strategic planning for your eCommerce store.